SYCAMORE – State Representative Jeff Keicher, R-Sycamore, is offering a new online resource for Illinois veterans and their families to learn about the full range of state benefits and services they may be eligible for. Representative Keicher’s comprehensive “Illinois Veterans’ Benefits” brochure is available to view or download on his website, www.repkeicher.com. 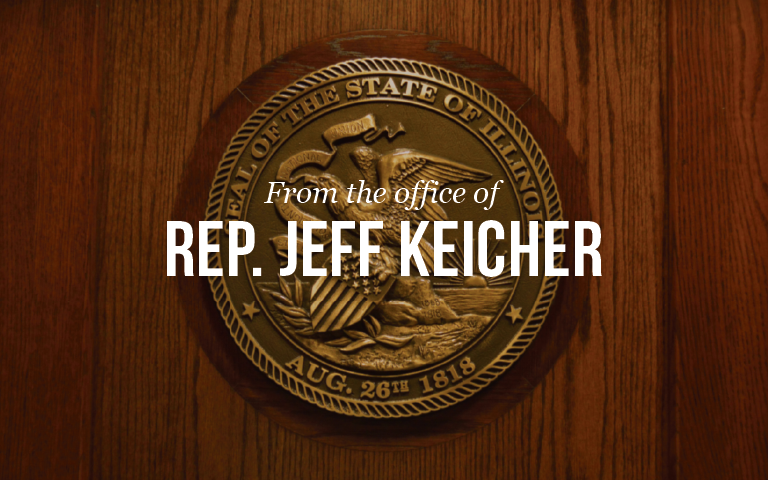 Constituents who do not have access to the internet may request a copy of the brochure be mailed to them by calling Representative Keicher’s office at (815) 748-3494. The brochure also includes the toll-free number veterans can call to discuss specific questions or issues with the Illinois Department of Veterans’ Affairs at 1-800-437-9824. For questions or more information, please contact Representative Keicher’s office at (815) 748-3494.